2015 New Year’s Resolution Purchase a Franchise! We are closely approaching 2015. It’s time to pull out the old resolutions, go to the gym, eat less carbs and give up chocolate. But what about fulfilling yourself professionally? 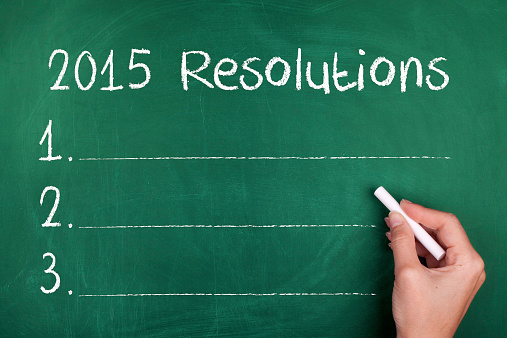 You might consider purchasing a franchise your new year’s resolution. It is a good way to take more control of your future. The company provides you with an established brand and a roadmap to success with training and support. As you embark on the New Year consider a franchise opportunity but ask yourself some key questions. Are you purchasing the franchise alone or with partners? Do you need financing? Where’s it coming from? Do you have savings or additional income to live on while you start your business? Does the franchise require technical experience, special training or education? What special skill set can you bring to a business, and, specifically, to this business? What experience do you have as a business owner or manager? Can you write down your reasons for buying a particular franchise? Do you need a specific annual income? How many hours can you work? How many are you willing to work? Do you intend to operate the business yourself or hire a manager? Will franchise ownership be your primary source of income or a supplement to your current income? Do you get bored easily? Are you in this for the long-term? Would you like to own several outlets? After you have thought about the above questions ask yourself the most important question of all: Do you have what it take to be successful? Yes, franchising sounds tremendously exciting. And, if you’re successful, there’s no business that affords the excitement and the growth which franchising does. But, as with any new business, franchising requires hard work, desire and dedication. You also need to recognize that you will be part of a system and in order to be successful you will need to follow direction and be a team player. The franchisor has a proven track record and you need to work within that parameter. If you are a free thinker and like to turn on a dime, franchising may not be your destiny. You also have to put in your time. Just like any new business, recognize that your success will not happen overnight. Plus you need to have a “fire in your belly” and a strong desire to give it your all. Once you have your questions answered and you find that you have a resounding YES to most of the questions now it is time to begin your research to find the right franchise for you. Happy New Year as you embark on your new franchise!